After a warm welcome on Thursday evening, we will start with a short evening run to stretch our legs and take a first look at the local area. Having blown away the cobwebs, we head back to the pub for a delicious meal and a good dose of running chatter. Following a hearty breakfast, on Friday we will plan to be out most of the day but don't worry it won't all be running. 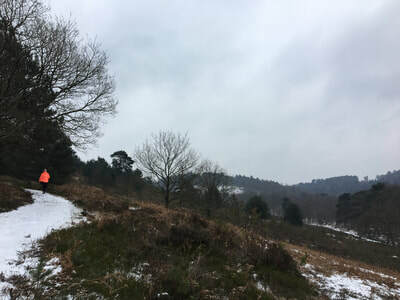 There will be time to do a longer run to nearby points of interest such as Pitch Hill, the North Downs, Holmbury or spend time playing around on the maze of single track around Leith Hill. Of course there will be time to hone our running skills with specific sessions on technique. If the group wants to run and run we can do that too. Lunch will be a picnic on the go and there will be extra stops for snacks. Post lunch there are several options depending on what the group would like to do. Arriving back mid afternoon to the pub its time to relax or enjoy a massage (prearranged) before sitting down to share stories over a well earned meal together. 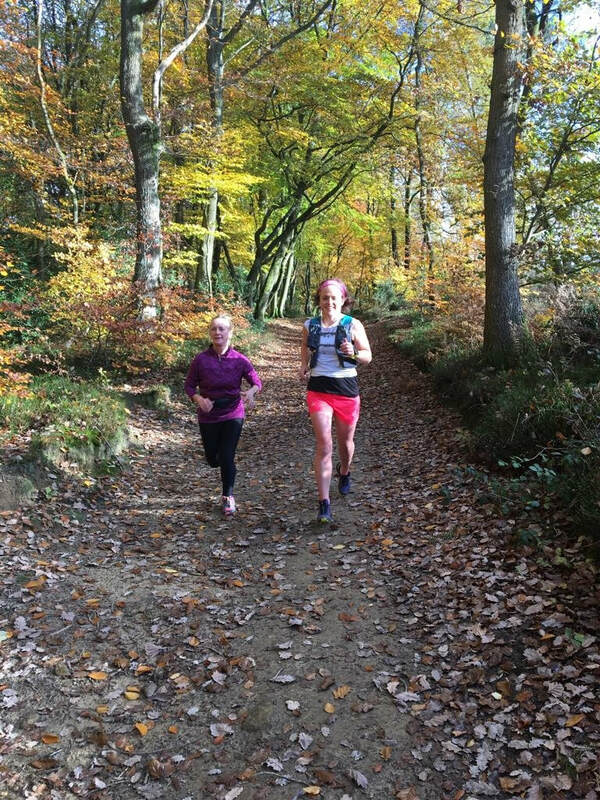 On Saturday we’ll begin with a short run before breakfast to enjoy the calm of the morning before heading back to catch up on all things trail running, training, nutrition. Coffee and cake will be served before you stuff your running gear into your bags and set off home! 2 nights bed and breakfast accommodation at the fabulous local pub, The Plough Inn. (Cost of Escape varies per room). Based in the picturesque village of Coldharbour in the heart of the Surrey Hills ANOB. You will be treated to a good night’s sleep and delicious local food from a 2 course set menu. Beers and wines are made locally too. https://ploughinn.com. Just outside Dorking, we are easily accessible via trains from London or via the M25/A25.